July 25, 2018 - No Comments! Your audience already spreads the word about you by sharing your content or simply talking about you to their friends and family. You can now build and expand on that by giving clear incentives to your customers and prospects to promote your brand. Enter the Viral Loops Story for Shopify increase your word of mouth sales and build a strong brand. Anyone has the ability to become an ambassador for your business, even if they haven’t purchased anything yet. By plugging Viral Loops into your Shopify ecommerce store, your brand ambassadors... are able to spread the word about your business and get rewarded for helping you build your brand. Ambassadors win for every sale they refer as they get discount coupon codes they can use for their next purchase. The coupon codes are automatically generated and sent via email. The best part is that zero maintenance is required! But your marketing efforts shouldn’t stop there. As you’re building your brand, the growth of your audience, is of high importance too. Reward your ambassadors for all the email subscribers they bring to your newsletter. With the Viral Loops Story for Shopify, you can set-up several milestones with different rewards for subscriber growth and offer unique rewards to your ambassadors as they refer their friends and reach those milestones. If you aim for your online store to never stop improving, we promise that your referral campaigns won’t as well. That's the reason Viral Loops as a product takes the "Story" approach, leaving behind the outdated concept of templates. You see, a template is simply some part of that strategy (eg. a milestone referral campaign for getting more email subscribers), and Viral Loops Stories aims to be much more than that. A story is a complete word-of-mouth marketing strategy for your use case (“Grow your ecommerce store with an ambassador campaign”) and each story comes with several chapters. Each chapter acts as specific part of your marketing strategy and you can “deploy” them as you see fit and when it’s the right time. For example, there’s a chapter dedicated to building an email list, which will allow you to bring more sales, but also a chapter dedicated to getting more sales with word-of-mouth. We thought your marketing never stops and you need to keep things fresh for your potential and existing customers otherwise, they’d stop engaging with your referral campaign. Stories help you with that because you always know what to do next, the next thing that will keep everyone excited and engaged. 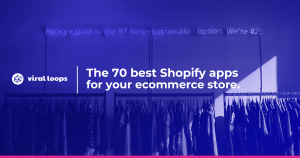 So, the Viral Loops Story for Shopify is ever-evolving and you will get suggestions for improvements and future actions, just in time to keep your campaign fresh and your audience engaged. We strive for your thrive. 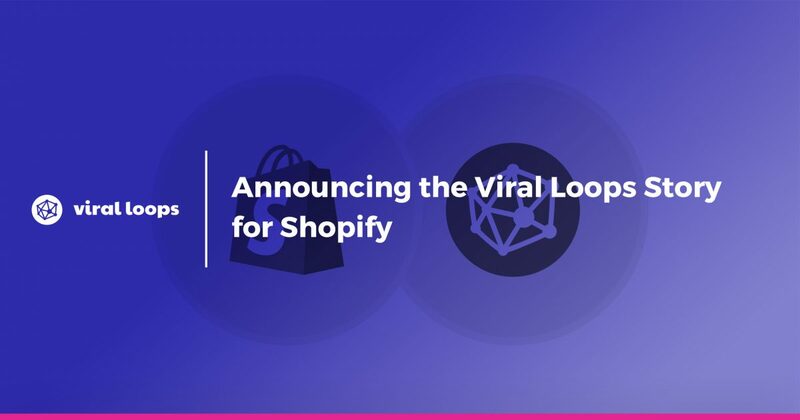 Viral Loops for Shopify is LIVE on Product Hunt!